Francesca Marinaro is a proud Labrador owner with eleven years of experience as a guide dog handler who is passionate about dog training and informing the public about handling and interacting with service animals and pets. In my eleven years as a guide dog handler, I’ve grown used to being a poster child for service animal etiquette and “Guide Dog 101.” The questions I’ve received have spanned the spectrum from mildly curious to amusingly off-the-wall. (No, my dog doesn’t read street-signs, for instance. Because you were wondering). Guiding Eyes for the Blind reports that approximately 2 % of the U.S blind population owns a guide dog, so these questions aren’t all that surprising given how rarely people probably encounter a working team. Since I’ve worked with two Labradors, the most common question I get involves why Labs are so often chosen as guide dogs. While there are several dog breeds commonly trained for service, Labs are currently ranked as the most popular breed for guide work. 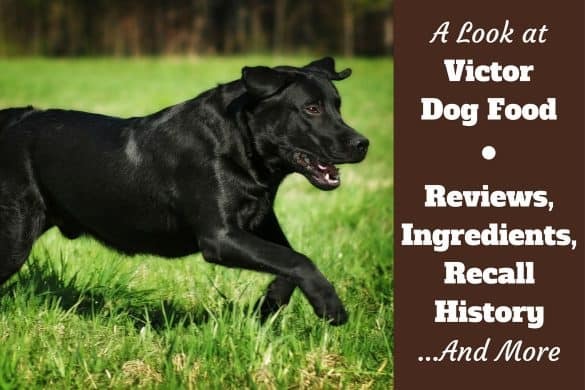 This article will cover the history of guide dogs, guide dog training, and what makes Labs the best breed for the job. We’ll also talk about how you can get involved in raising, training, and supporting guide dogs. What Is The History Of Guide Dogs? When Was The First Guide Dog School Established? 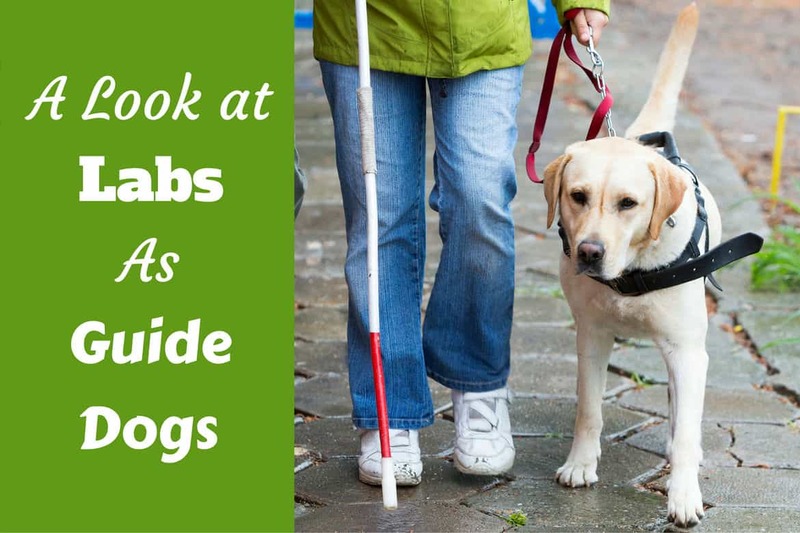 What Makes Labs Great Guide Dogs? How Do Dogs Become Guide Dogs? What Happens When A Puppy Leaves Its Raisers? What Happens When A Puppy Completes Its Training? What If I Want to Help Financially? The guide dog’s official journey began after World War I, when many wounded soldiers returned from the front lines blinded by poisoned gas. A German doctor, Dr. Gerhard Stalling, discovered while treating veterans that dogs could be trained to help the blind. When called away from a patient one day, Dr. Stalling left his dog with the patient and saw signs on his return that the dog was looking after the patient. In 1916, Stalling founded the first guide dog training school in Oldenburg, Germany. The school trained both servicemen and civilians from across Germany, as well as Britain, France, Italy, and the U.S. In 1929, Dorothy Eustis, an American dog trainer for the army, police, and customs authority, founded The Seeing Eye in Morristown, New Jersey, the oldest guide dog school in America. Today guide dog schools worldwide work to improve the independence of the blind, breeding and training dogs to perform any number of tasks from finding a seat on the bus to guiding their handlers through a snowstorm. The most typical breeds you’ll see as guide dogs include German Shepherds, Golden Retrievers, Labrador Retrievers, and Golden/Labrador crossbreeds. These large-breed dogs have the gait and size to walk comfortably alongside a human, maneuver around obstacles, and even occasionally put their bodies between their handlers and obstacles like speeding cars. 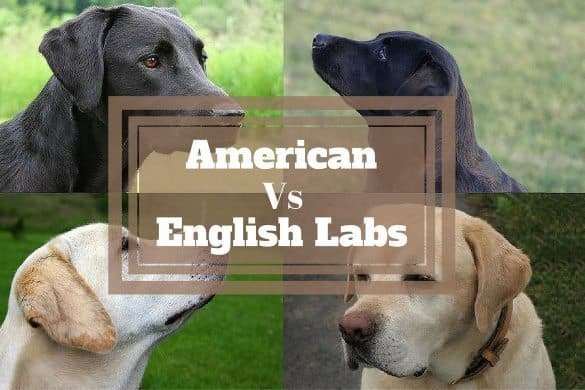 While each breed has its advantages, Guide Dogs of America reports that the Lab is the most popular breed amongst guide dog schools across the world. The Lab’s quick intelligence, high energy, loyalty, and desire to please lend themselves well to the working lifestyle. Their natural curiosity can turn a trip to the grocery store or the daily commute to work into an adventure. I’ve often compared my Lab to an enthusiastic toddler; he wants to show me everything, which means that I get a lot of sensory information about my surroundings just by observing his body language. The Lab’s loving nature makes bonding with a handler much easier, which is especially important at the point when a trainer hands the dog over to its new handler for the first time. This transfer of allegiance is the key ingredient in a guide dog team’s working relationship because the dog’s loyalty increases its willingness to work with and for the handler. Being a guide dog is a lifelong training process that begins in the early puppy stage. Dogs are specially bred at the facilities that train them, and at between seven and eight weeks old are placed with a puppy raiser. Raisers can be families, single adults, couples, or senior citizens who volunteer to take puppies into their homes for anywhere from twelve to eighteen months. Raisers nurture the puppies in a loving home, attend basic obedience classes, and travel with the dog in public places such as malls, grocery stores, and on public transit. Puppies wear a vest or jacket, rather than the harness they’ll wear as a fully working guide, which indicates that they’re in training, allowing them access to public places. At the end of the raising period, puppies return to the school and are assigned to a trainer after undergoing a health check. Over the next four months, instructors train the puppies in guide work. The puppies learn directional commands (such as left, right, and forward) as well as how to target objects, locating doors, seats on buses, or elevators. They learn to stop for changes in elevation (curbs, broken sidewalks, or stairs), guide their handlers in a straight path, and stop for overhanging obstacles. This last is one of the reasons why a Lab’s desire to show an obstacle to the handler is such an important part of the team’s communication. Blind people won’t always know why the dog has stopped or veered off the path, so we learn to search, putting out a hand to feel what’s in front of us. When he hears this command, he might veer onto the grass, or even into the street as long as there’s no oncoming traffic. Since I tell him to “find the way,” he knows that once we’ve maneuvered around the obstacle, he needs to return to the sidewalk and resume our straight line of travel. Once puppies have completed their training, they’re matched with a blind individual who has applied to the program. Matches are made based on a variety of factors, including lifestyle and level of activity. For example, if a blind person indicates in her application that she lives in Manhattan and rides the subway to work, she’ll be matched with a dog that works well in a fast-paced, city environment. If she lives in a small town and walks to work in a heavily wooded neighborhood, she’ll be matched with a dog who can work well in an area with few or no sidewalks. During a class period that usually lasts about 26 days, new handlers work closely with their dogs and instructors, learning the various commands and working their dogs in areas ranging from malls to train stations. 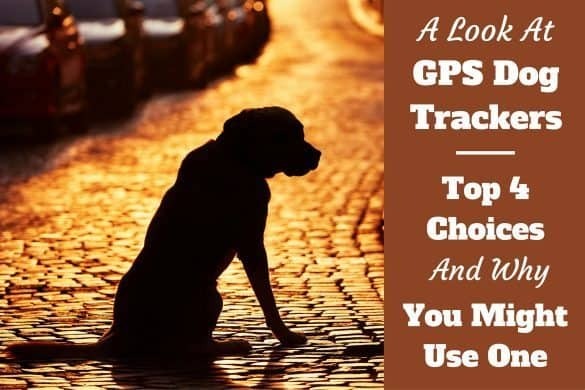 They learn how to travel safely across busy downtown streets and on winding country roads, and, most importantly, they learn to trust their dogs. “Trust your dog” is probably the most commonly-used mantra in training because while guide dogs will sometimes test handlers like precocious children, they’ll also sometimes intelligently disobey handlers to protect them. Example: Imagine you’re standing at a busy street corner, and it sounds like you have the all-clear to cross. You command your dog, “Forward,” but the dog doesn’t move. Next thing you know, the dog is planting his paws on your feet, blocking your body with his and pushing you back from the curb as a car comes speeding out of nowhere. This is where the Lab’s sense of loyalty comes into play most effectively because he knows he’s your first line of defense against danger. After training, handlers return home with their dogs and go through an additional period of aftercare training that can last up to two weeks. 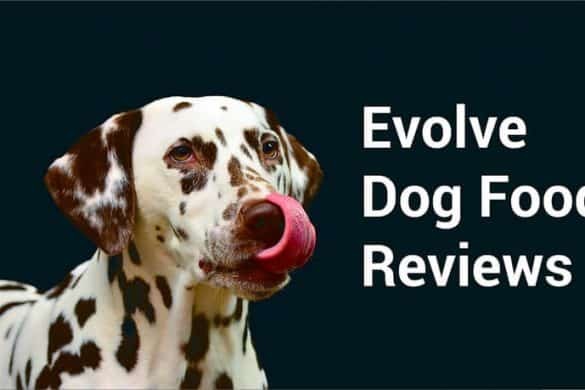 During this time, the school sends a trainer to the handler’s home and makes sure that the team is adjusting well to the environments they’ll be working in: office, school, local shopping centers they might frequent, ETC. This is just the beginning of a lifelong journey of teamwork and training because dog and handler will always be learning new routes and exploring new territory together. There are lots of ways you can support guide dog programs and various levels of commitment, all of which do their part. As we’ve already talked about, you can contact any training center to learn about becoming a puppy raiser. The National Federation of the Blind maintains a list of guide dog schools throughout the country, which you can find here. Even if you don’t live in an area near a school, most schools have field reps throughout the country who can help you during the raising process. You can also join a waiting list to adopt a retired or released dog. At the end of a working guide’s “career,” usually about seven to ten years, many handlers choose to keep them as pets or have a friend or family member adopt the dog. When this isn’t possible, the school makes sure that the dog receives a loving home. Dogs are often also released from the training program if the school decides they’d work better in another environment. If a “career change” to police or search and rescue work doesn’t work out, dogs can be adopted into loving homes. Check with various schools to see if they’re accepting applications to the waiting list. Since guide dog schools offer their services free of charge, they rely on financial contributions from donors. According to the Guide Dog Foundation, the cost of raising and training a guide dog can be up to $55,000, and contributions of any value help! $25 will purchase food, a water dish, and a leash and collar, $50 will feed a puppy for two months, and $100 will pay for a guide dog harness. You can also make a larger contribution to sponsor a puppy. Puppy sponsors donate about $6000 to cover many of the costs of breeding, training, and transporting puppies, as well as the room and board costs of handlers during training. For this generous contribution, sponsors have the opportunity to name the puppies. Most puppies get their names from sponsors or breeders. You can sponsor a puppy as an individual, but many businesses, clubs, and church organizations also sponsor puppies as a group. Most importantly, spread the word! If you have friends, family members, or coworkers who love dogs, this is a great opportunity to become involved in supporting the work of service animals and making a lifelong investment in the independence of a person with a disability. 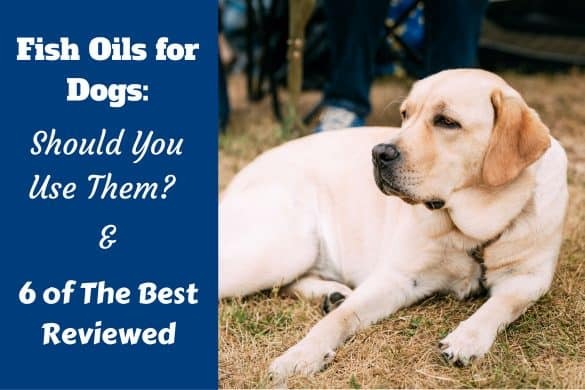 What is The Best Flea Treatment For Dogs? How much research did you do before adopting? 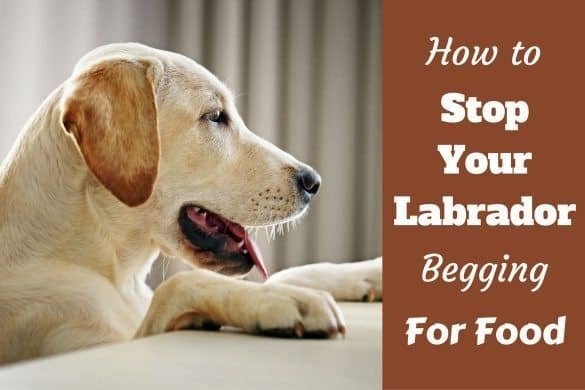 Labrador Breed Standard – What Makes a Lab a Lab? How Long do Labs Live? Average Labrador Lifespan? The Oldest?